FOR HALF a century people have been told to eat less fat to stay slim and healthy. The belief has become so deeply entrenched that it is rarely questioned. But all along there have been dissenting voices within the medical and scientific establishment in the West, where this belief originated, crying out that this is a mistake. However, their voices rarely influenced the debate in popular media. That was until Gary Taubes, a US science journalist of formidable repute, challenged the low-fat dogma with a landmark article in The New York Times in 2002, laying the blame for obesity and other metabolic diseases at the door of carbohydrates we are told to eat in liberal amounts instead. He followed it up with a book in 2007. 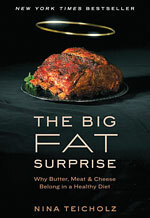 With The Big Fat Surprise, New York-based investigative journalist Nina Teicholz aims to do something similar but with a focus on saturated fats, the kinds found in meat, milk and some tropical plants like coconut. Although in the recent past the emphasis on restricting total fat has dropped somewhat, saturated fat is still portrayed as the bad guy because it has been shown to raise total cholesterol in the blood. 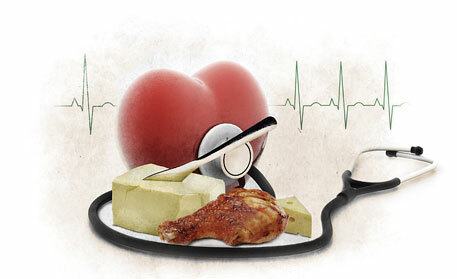 In the 1950s, American biologist Ancel Keys, who soon became an influential figure in the nutrition world, hypothesised that eating too much saturated fat raises blood cholesterol, and this leads to heart disease. But before this hypothesis could be properly tested it was pushed into the dietary advice for the American public and a whole bureaucracy was created and cranked up to take the word to the people and public health practitioners. The rest of the world followed. Lean meat, skimmed milk, vegetable oils and margarine became fashionable among the health-conscious. Keys’ studies have been taken apart by several people several times. Teicholz, a convert who, at one point of time, dutifully followed the low-fat advice, does more. She picks up several studies considered the bedrock proof for the hypothesis, points out their shortcomings and contradictions, and concludes “it is a foundation made of sand”. She then meticulously tracks the making of the low-fat dogma by illuminating the personalities and forces behind it; the environment of debate; and the manner in which Keys, an extremely persuasive, ambitious and dominating personality occupying influential positions in health and nutrition institutions, zealously promoted his hypothesis, while pulverising the opposition. Her meticulous approach reflects in the copious notes running into 113 pages. Yet one reason a weak hypothesis prevailed is the fallible nature of nutritional science itself. Drawing precise conclusions about a specific food component by observing the health of people over a period of time inevitably leaves room for error for even the most unbiased and rigorous researchers. As Teicholz deconstructs the low-fat dogma, she paints a world of nutritional research in the US ridiculously obsessed with cholesterol, judging food components solely by whether they raised or lowered cholesterol, whatever else they did, and pouring billions of dollars unsuccessfully trying to prove a single hypothesis for decades. That’s how, she shows, the most unstable kinds of vegetable oils became “healthy” despite the fact that they produce toxic oxidation products—ironically, implicated in heart disease—when heated. The Big Fat Surprise thus becomes an indictment of the state of research in general, where ego, biases, career ambitions and politics override science. For those bitten by the nutrition bug, the author follows the debate on fat till today, covering the popularity of the Mediterranean diet and the switch to trans fats and vegetable oils and the threats they pose. There are interesting insights into the shifts in the focus of nutritional research from growth and reproduction to heart disease, the nature of epidemiological research and the paradigm shift on cholesterol. The book is a good bet for anyone interested in health and nutritional science because it takes head on what appears to be the biggest nutritional mistake of the past century. And it comes across as convincing because it talks about the actors as much as it talks about actions. 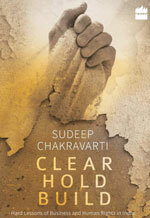 Written in a clear prose and measured tone, it is easy to follow. While Teicholz does a brilliant job of investigating and documenting the role of scientists, food industry and policy makers in the vilification of the saturated fat, she leaves untouched one institution she should know a lot about: the media, which has a tendency to amplify and over-interpret research findings out of compulsions not very different from that of researchers. Despite INDIA'Srapid response to economic liberalisation and impressive growth indicators since the 1990s, child malnutrition in the country has remained high. Indeed, per capita calorie intake has declined, presenting a challenging scenario to policy planners and the academia alike. Diets, Malnutrition, and Disease attempts to resolve India's nutrition puzzle. 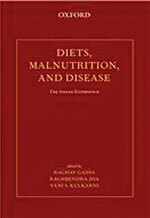 It provides a comprehensive analysis of malnutrition, and children's vulnerability to infectious diseases. It critiques the conversion of the public distribution system into a (near universal) subsidy programme, the National Food Security Act. Links between affluence, obesity and non-communicable diseases are unravelled, and the health policy challenges discussed. Discontent IS growing over the manner in which governments and businesses in India treat communities and stakeholders. Driven to the wall, the world of business is finally waking up to the idea of human rights, of true corporate social responsibility. This book offers a must-do checklist for human rights, and for responsible business planning and policy-making. Sudeep Chakravarti speaks to senior executives, policy-makers, activists, lawyers and local communities across such conflict zones in India to present a ringside view of the present and future of business and human rights.